MOG is accelerating our Voluntourism Program. We have used this format for years – our teams work hard, give much and then play hard and experience adventure Nica style. Working hard: Being that we have been in Nicaragua for over 20 years, we are very well connected. What that can mean for you is that we have the ability to custom-design a Voluntourism Trip for you and your co-workers or friends. Are you a nurse? A painter? A hair stylist, a medical lab technician, a builder, a remodeler, a general laborer willing to get dirty? There are needs and more needs and we can connect you to the people who will greatly benefit from your expertise and will keep it paying forward after you leave. We also have our own projects that we will gladly have you tap into. Just ask! Playing hard: We have our own people who excel in different extreme sports, who teach and lead tours in fun activities, such as surfing, zip-lining, deep sea fishing, repelling, and more. We also can offer great off-the-main-path beaches to get that tan, swim, and hang out at the beach shacks that offer food and drink or hiking up a volcano, or great shopping… I almost want to say, you name it, we can take you. We always organize it all beforehand, submit it to the volunteer for approval, and will provide the transportation, the meals, the lodging, the translators and more. I promise you will not regret it. Young Persons Volunteer Program: MOG is gearing up our Young Persons Volunteer Program again. In years past, this was a very powerful tool – both for the Nicaraguans whom we serve and also (maybe especially) the young persons who come. We have short-term trips and also internships. We love to have the Nica young people work alongside of the team – the interaction is such that both learn much about the other culture, they make friends and many times, the US volunteers are touched deeply and are helped to heal from wounds and struggles they carry. 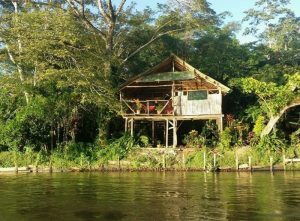 REMOTE OUTREACH/VOLUNTOURISM – We are going down the remote Rio San Juan River in April, 2017! We have most of the cost covered but partnering with you would be a great blessing, encouragement and support. Anyone who gives $30 or more by April 18, 2017 will receive a surprise gift from the Rio!! Johnny will take it back to Texas and mail it to you from there! With donations, we will be able to buy some rice, beans, veggies, oil and tortillas to share with the villagers. If we have resources to share as we encounter urgent needs , it would be so wonderful. And we will take a photo for you! Please fill out the form below to let us know your interests, dates, or any other details, and we will connect with you asap! Select any of the interests and/or include in comments area your thoughts on the "tour" or vacation part of your trip. Select any of the skills or other thoughts you might include in comments area regarding the "volunteer" part of your trip. Whatever I can do to help! If you have any time frames in mind, feel free to state them, or add additional thoughts in the comments box.